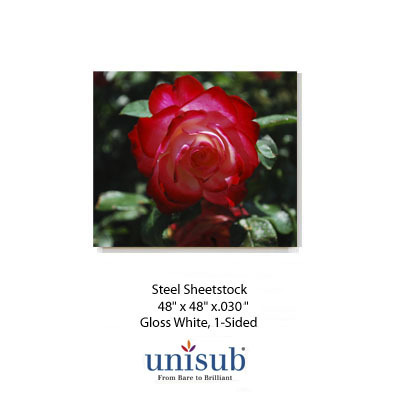 Dimensions: 48" x 47.8" x .030"
Unisub® Steel Sheetstock, 48" x 48" x.030, Gloss White, 1-Sided, Digital UniRase™. Sublimation imprintable and will hold magnets. 20 Sheet Minimum.